Yesterday, I celebrated my 30th birthday. In less than six weeks (I’m currently 34 weeks, 3 days pregnant), we’ll celebrate another birthday (assuming she arrives on her due date – August 1)…actually two birthdays since my mom’s birthday is also on our baby’s due date. With that said, I thought it might be fun to have a “Bloggy Baby Shower” to celebrate her arrival. 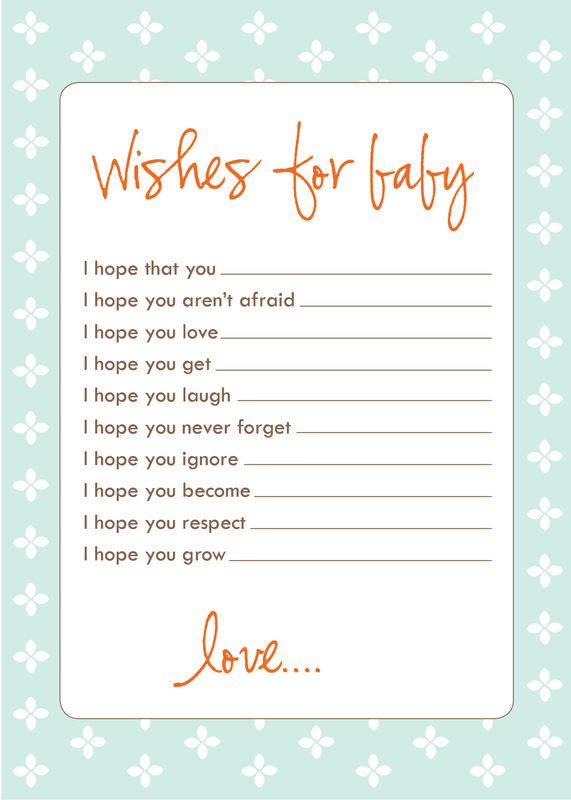 In lieu of presents, I found these really neat “Wishes for Baby” cards at Lauren Makes (she also provides downloads for a grey, blue, brown and yellow version on her website) that I thought you might enjoy filling out for our baby girl. If you’d like to participate in the “baby shower,” go to Lauren’s website and download one of her “Wishes for Baby” cards (click HERE) OR make your own using your mad photography/scrap-booking/artistic skills. Then come back here and share your wishes (link up below). I’ll leave the linky open through August 1, 2012. From there, I’m thinking that I’ll include your wishes in a “Wish Book” for our little girl, so feel free to send me an email with a high-resolution version of your wishes (or be prepared for me to request it…hehe). So, that’s the plan…or at least my idea. 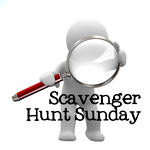 I’m looking forward to seeing what you come up with! PS: I said I would announce the winner of the PrintRunner giveaway at some point this weekend. Well, I have a winner – #12, Shari of ShariS.ShotS. Congratulations!